Beethoven’s Sonata no. 12 op 26 is often thought of as an influence to Chopin’s opus 35. It has a similar construction; the first movement is a theme and variation. The second movement a scherzo, the third movement a funeral march and the fourth movement is a finale of unrelenting sixteenth notes. It is known Chopin played and admired it. Additionally he used it a great deal in his teaching. Many of his students reported working on it. Chopin’s earlier attempt at the sonata was in 1829 with his first sonata in c minor. Haslinger the publisher agreed to publish it in 1829 but later changed his mind. With Chopin’s works now being in demand, Haslinger had it engraved to begin publication. 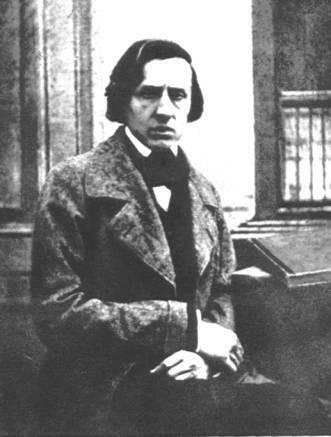 Chopin refused to authorize its publication but learned it was already in distribution in a letter from his father. 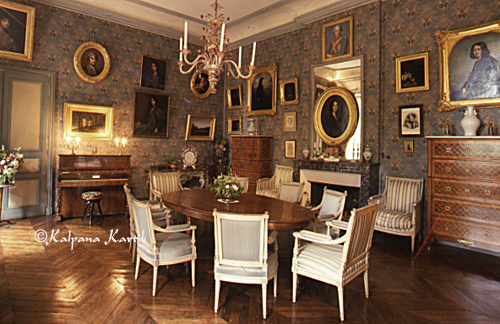 He had recently made his home in Paris, following an unsuccessful stay in Vienna. Beethoven’s presence was still larger than life in Vienna as master of the sonata form, and Chopin wanted to prove he too had mastery of the large-scale form. He did not want to be judged by a composition written while he was still a student. Chopin gave a preview performance of the Marché and reviews of this performance state Chopin had a ghostly appearance. The solemn feeling of the Marché brought tears to the eyes of the audience and Chopin removing the word funèbre from the title of the Marché intensified the music’s painful impact. ‘Consumption has seized that figure and has made of it a soul without a body. To say his farewells to us…then, to finish, funeral marches that, despite myself, made me dissolve in tears’. Opus 35 is structured as a narrative, a story where each of the movements leads directly into the next. The stormy agitated chords of the coda in the first movement become the theme of the scherzo. The four bar introduction to the first movement marked grave could just as easily be an introduction to the Marché. The finale which is a miniature sonata in and of itself sums it all up in one of the most mystifying enigmatic pieces ever written for the piano in a minute and a half. The exposition in the first movement depicts a stormy life of a Polish émigré going first to Vienna then onwards to Paris, France. The turbulence and agitation of the first theme group in the exposition exhibits Chopin’s inner turmoil, which is strongly contrasted with a lyrical second theme group in the exposition. The sarcastic side of Chopin’s personality is shown in the Scherzo. The scherzo is fiery and displays a great deal of rage with explosive chords, which emulate the repeated tonic note as in the Marché. In Chopin’s life there was also a great deal of unrest over political problems in Poland as well as a tumultuous relationship with George Sand. Another source of controversy was his opposition to the romantic climate in which he was immersed in Paris. An ingenious composer with strong roots in classical and baroque music, Chopin’s music was also revolutionary. Lyrical trios in the second and third movements follow the classical sonata outline going to the relative major keys yet still have Chopin’s distinctive nocturne style. This put his signature on the classical sonata form. Chopin’s frail health continued to deteriorate and he was often consumed with thoughts of death, hence the foundation of the sonata is the Marché. Friends said he often stated “please make sure I am not buried alive”. Chopin establishes mastery of large-scale composition (sonata form) with his own signature style in his only composition without dedication. Chopin’s contribution to the sonata form development is substantial in opus 35. As the sonata form developed from the Baroque period of pieces with multiple movements each with their own character this developed into the sonata form of the classical period, Beethoven first expanded the form than began to compress the form and link the movements together motivicaly. Opus 35 continues the development of the sonata form with creative mastery and development of motives, which penetrate each other and are linked together.